Main Fabric. For either version, you’ll want a medium to lightweight fabric. For knits, that includes jersey, ITY, baby rib, some double knits. For wovens, that includes rayon challis, silk or rayon crepe, lightweight linen or chambray, seersucker. Interfacing. If you’re making Version 2, it can be helpful to use a small piece of interfacing on the button tabs to reinforce your buttonhole. Elastic. Both versions require 1 ½ yards of 1” elastic. Buttons. For version 2, you’ll also need two ¼” buttons. When looking for fabric for your Myrtle, you’ll want to look for a fabric that has a nice drape. This is because we want our cowl neckline to flow and hang nicely. If the fabric is too stiff, the cowl will stand up and away from the neck. This would not a very flattering detail (although possibly useful for catching crumbs). If you’re not sure about a fabric choice, fold it into a double layer and hold it up to yourself to make a mock cowl. Then you can see how it will look on the finished garment. Generally, a nice drape means medium to lightweight fabrics. Anything that is on the lighter and slinkier end of the spectrum would make a lovely Myrtle. Do keep in mind that the front bodice piece is self-lined by folding it in half, so if your fabric is sheer and you choose a very high contrast print, it may show through. Myrtle is a rare pattern that can be made in either a knit or a woven fabric. Usually, patterns are either one or the other, and some fit alterations are necessary if swapping knits for wovens or vice versa. But because of the elastic waist and the ease around the bust, you can go with either a knit or a woven. If you are making Version 2, it will be helpful to interface the buttonhole area to prevent them from stretching out. As with all buttonholes, you should do some experimentation first to see what works the best. You can try using fusible knit or tricot interfacing, which has some stretch to it, or fusible woven interfacing, which will make your fabric a bit sturdier. 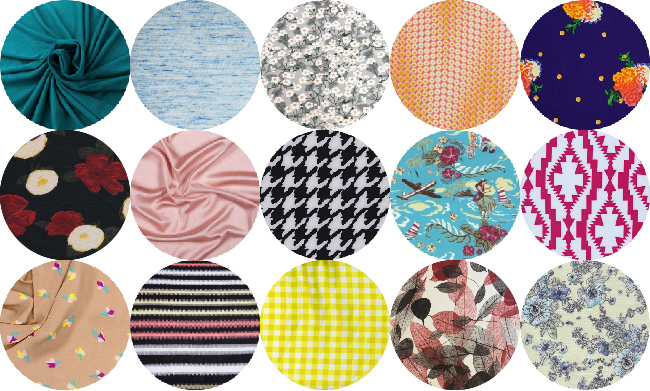 Here are a few different fabric options I’ve come across during my online window shopping. I can’t wait to live vicariously through all of your fabric choices! Hand Sewing Needle. This is for sewing on the buttons in Version 2. You can make the Myrtle using either a serger or your standard home sewing machine. We’ll touch upon techniques for both in a future post. I got my fabric, actually I am using something from my stash. Its a jersey knit. Now I am not accustomed to washing my fabric before I sew. Should I wash in the washing machine or by hand? You should wash however you plan on caring for the finished garment. Machine is ok! You definitely want to prewash so that if the fabric is going to shrink, it shrinks before you make the dress and not after. How would you like to wash your dress? If you always wash your clothing by hand, then wash your fabric that way. If you are a machine wash enthusiast then you should wash and dry your fabric that way. I am thrilled to be getting started in your sew-along! I would love to see detail, unclose sketches/photos to make my decision about which version to make. Also, where do I find the fabric amounts required? Thanks so much! If you click the “Supplies” tab next to “Description” in the online store [link below], you can see fabric yardages and size measurements. Also, the final picture there has pictures of drawings. I am so excited about sewing this beautiful dress! I’ve got the same question as Carol, how much fabric would I need for a size 8 and almost 6ft? Thank you so much for sewing this dress with us! If you click the “Supplies” tab next to “Description” in the online store [link below], you can see fabric yardages and size measurements. Also listed there you can check the finished back length [that’s measured from the nape of your neck down to the finished hem of the dress] to see if you want to lengthen it. If so you’ll want to get extra fabric. If you click on “Supplies” next to “Description” in the online store, [link below], you can see all the size measurements and yardages. Have fabric and essentials and almost ready to go….can’t wait! I have my fabric and am in love with it. I’d better get this dress right! I’ve never washed fabric before starting to sew. What’s the likelihood of it fraying in the washing machine? Should I do a run of stitches at the cut edges or will it be OK? The knit won’t fray in the wash. A woven will fray, but usually not more than 1/4″ – 1/2″ [although it does make a mess of tangled threads!]. You can pretreat any fabric for the wash by either zigzagging or serging along both cut edges. 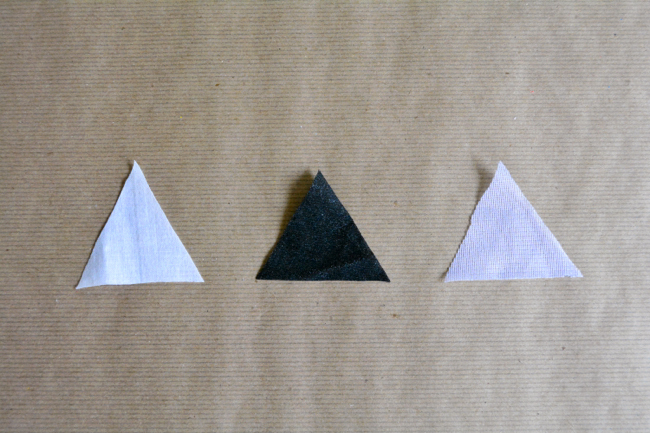 In fact, if you serge or zigzag the two cut ends together, there is less twisting and bunching in the washing machine. I have a front-loader, and if I put more than 1 or 2 yards of continuous fabric in, it wrings itself into a twisted knot and doesn’t really get the preshrinking I’d intended it to get. Sewing the two ends together makes it a smaller overall length and diminishes that effect. Then, after pulling it out of the dryer, you can slice off the sewn bit so it’ll be ready for cutting. That’s an excellent tip. Long lengths of fabric are a bit unwieldy. I’m excited to start this sew-along! I would love some advice on fabric choice. I would prefer to do this in a knit. However, I am basically a novice/very rusty sewer (this’ll be my second project in about 20 years!) and I have no experience with knits. Would it be a safer/wiser choice for me to attempt my first Myrtle in a woven? I do generally recommend wovens over knits to beginners/novices. However, it does depend a little on the woven. If you choose one that is slinky and drapey [like a rayon] it might be a similar difficulty to working with a knit. Using a cotton voile or lawn might be a good fabric to start with, as they are fairly stable but thin enough to be drapey. The dress might be a little sheer but you can always wear something under. The biggest thing about working with knits is using the right tools and stitches, which we will be going over, so I’d say don’t shy away from a fabric just because it’s a knit! OK, thanks! I guess I will decide which way to go when I find the fabric I love for this dress. Do you know what fabric was used for the off-white/ivory dress shown in the Myrtle pictures on the Colette Patterns website? I asked Sarai and she said it’s actually just a plain cotton jersey! Will we be making a muslin for this sewalong. I’m a new sewer and don’t want to mess up my fabric. Thanks. 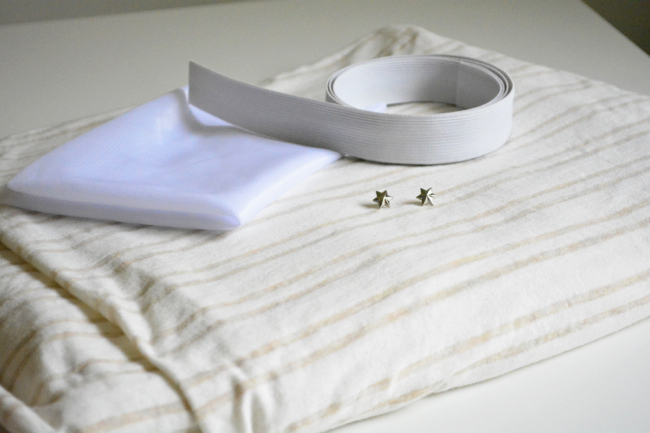 We won’t be specifically making a muslin during the sewalong, but you can certainly make a practice version if you want. If you’re using a knit, make sure you make your muslin out of a knit that has a similar weight and drape to your fashion fabric. Have you ever made a “muslin” out of a less dearly beloved fabric as a rehearsal, and then found that you liked the muslin better than the intended, more expensive garment? I do that regularly, but realize that the muslin garment is a bonus. Sounds like candidates for a dyeing project! I am so excited to start this sew along. I made one Myrtle already out of an organic cotton knit. It turned out alright but is a little rough around the edges if you get real close. I am so excited to see all of your pictures and tips as they are always very useful. I am also excited because I have been dying for an excuse to buy the floral Marc Jacobs fabric you included above and I used this as my excuse. Fingers crossed this one turns out well. Thanks for your amazing guidance Devon. I’m really excited to start! I have a stash of vintage silks and rayons that I want to try out. But I’ve never really sewn with a silky fabric. Is it better to start out with a lightweight cotton? I also have a vintage lightweight cotton madras. Also I have an old singer I use that only does straight stitch, is there any other stitches needed? Oh and what’s the ease in your patterns? The lightweight cotton would be easier. 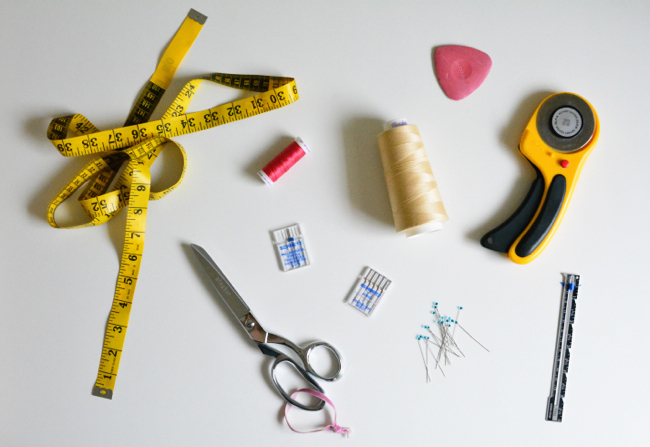 Do you have much sewing experience in general? If you’ve made several projects with stable fabrics and felt good about them, then I wouldn’t be afraid of the slippery stuff. But if you’re just starting out I’d do it with the cotton first. You’ll use the straight stitch to construct everything, but you will also need to finish the raw edges on the inside so they don’t fray. A common method is to zig zag the edges, but if your machine doesn’t do a zig zag you can trim all the exposed edges [after you sew] with pinking shears to do the same thing. You could also bind the raw edges, which would be more laborious but it would be a nicer finish and would last longer. You can check the ease by looking at the finished garment measurements. Check out the back of the pattern envelope and compare the finished garment measurements with your body measurements. The difference is the ease. For this particular pattern there is about 2-3″ of positive ease in the bust and about 1-2″ of negative ease around the waist, depending on what your actual body measurements are and what size you choose. 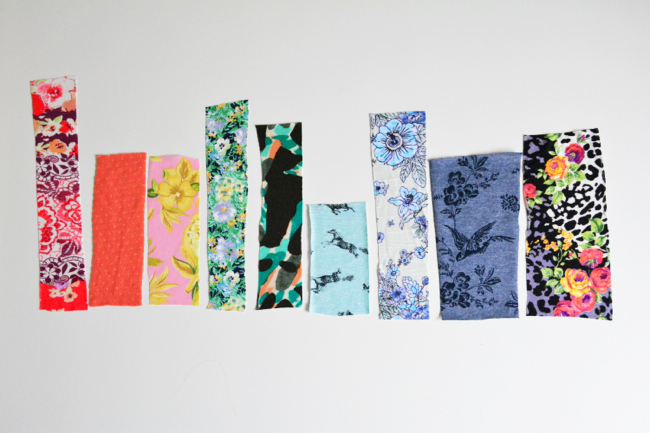 I’ve had the bold floral fabric from Mood (1st in the 2d row) for two years…waiting for the perfect pattern. It’s lightweight wool that drapes quite nicely. Can’t wait to do a Myrtle in it. I am a beginner to sewing and the sew along. I wanted to use a woven, like a light cotton or something (still not confident with fabric type). Would that be OK? Sure! A light cotton would be great for your first time doing it. I found a linen knit. Think that would be too problematic to work with? I have sewn with knits before–with some success. Hoping this is going to be better. Went to the store today to look for a knit. There are so many kinds it was a little overwhelming (cotton knits, poly knits, bamboo knits, rayon knits, blends, etc). Will polyester knits or knit blends work for this dress? What percent spandex would be ideal? Spandex content would be ideal between 5% to 10%, although depending on the fabric more or less is ok! Is the cowl neck any different between version 1 and version 2 of myrtle? It appears a bit different in the print versus the white dress in the promotional photos but perhaps that is by chance..
No, both versions use the same pattern piece, the difference you see is just due to a use of different fabrics. My pattern (my first Collette pattern) arrived last night and I had to peek. The pattern is beautifully done, clear instructions and nice quality materials. It is a little more spendy than I normally buy but I’m hoping the difference is in the drafting. So I went out and bought a lovely jersey knit. It is super soft and has a nice drape. I am really excited to start this project! I absolutely love the black and white fabric the model is wearing. Is that a current fabric that can be purchased? I asked Sarai, and she said it’s actually a vintage silk she found at an antique store. So unfortunately no! Actually any of those would work! But I’d recommend braided or knit. I personally find woven and non roll to be thick and stiff and kind of uncomfortable. Braided elastic will be the most durable choice. Knit elastic is stretchier but lighter duty, so it would be good to use if your fabric is very lightweight. This is my first sewalong & I’m so excited! I got the fabric I’m using over 2 years ago. I hope I have enough! When I saw the Myrtle, I liked it better than the pattern I originally bought the fabric for. I have a slinky drapey striped knit I’d like to use from my stash, but I only have 1 and 1/4 yd of it (60″ w). I plan on making a size S, which requires 2 5/8 yd of 60″. I saw that you said the front bodice piece is self lined – would I be okay to purchase a solid knit in the additional amount I need, to use for the lining? So excited for this sewalong!! Hi! So, if you get another fabric for the lining, unfortunately I still don’t think you’ll have enough with 1.25 yds. Also, the bodice and lining are all one solid piece that you would have to seam somewhere. You wouldn’t want to do it right at the top of the cowl because you would see it when the cowl draped. You’d want to do it on the inside, and at that point you’d barely be saving any fabric. So I’d say, either use your fabric as the skirt or bodice and get a contrasting fabric to supplement. Or, you could make a peplum length Myrtle, and just cut off the skirt around hip level. 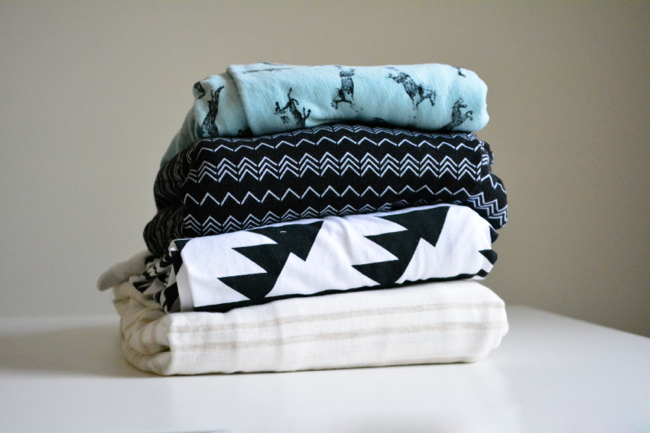 Or save it for a super cute t shirt!